Unrivaled storytelling . . . unforgettable characters . . . rich historical detail . . . these are the hallmarks of Diana Gabaldon’s work. 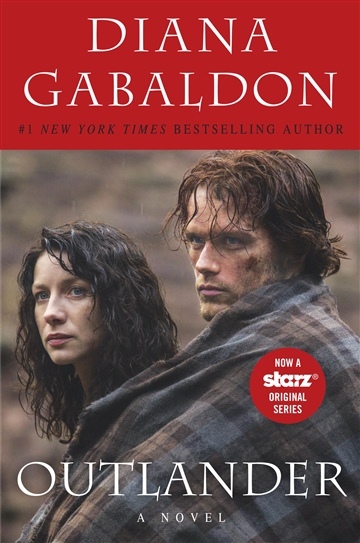 Her New York Times bestselling Outlander novels have earned the praise of critics and captured millions of fans. Here is the story that started it all, introducing two remarkable characters, Claire Randall and Jamie Fraser, in a spellbinding novel of passion and history that combines exhilarating adventure with a love story for the ages. The year is 1945. Claire Randall, a former combat nurse, is back from the war and reunited with her husband on a second honeymoon—when she walks through a standing stone in one of the ancient stone circles that dot the British Isles. Suddenly she is a Sassenach—an “outlander”—in a Scotland torn by war and raiding border clans in the year of Our Lord . . . 1743. Hurled back in time by forces she cannot understand, Claire is catapulted into the intrigues of lairds and spies that may threaten her life . . . and shatter her heart. For here James Fraser, a gallant young Scots warrior, shows her a love so absolute that Claire becomes a woman torn between fidelity and desire . . . and between two vastly different men in two irreconcilable lives. Diana Gabaldon is the New York Times bestselling author of the wildly popular Outlander novels–Outlander, Dragonfly in Amber, Voyager, Drums of Autumn, The Fiery Cross, and A Breath of Snow and Ashes (for which she won a Quill Award and the Corine International Book Prize)–and one work of nonfiction, ,The Outlandish Companion as well as the bestselling series featuring Lord John Grey, a character she introduced in Voyager. She lives in Scottsdale, Arizona.